I don’t know about you, but I can get absolutely LOST in Cost Plus. I went there on my lunch hour today to pick up some delectable chocolates to take on a wine tasting tour this Saturday. My dear friend Jen decided this is how she wanted to spend her birthday, and I was only too happy to say yes when invited. Everyone is bringing an appetizer to share, so my contribution will include veggies (to help me stick to my biggest loser challenge) and a variety of creamy chocolates. Because you just can’t thoroughly enjoy good red wine without a piece of chocolate now and then! Back to my original point – I entered the abyss that is Cost Plus. I found the perfect thing to give someone at a housewarming party, but of course I don’t know anyone having a housewarming party anytime soon. In case you do, they have the cutest guest soaps in a little rack that I know I would love to receive if I had a nice guest bathroom that isn’t always covered with toothpaste thanks to the resident children. Whilst picking out chocolates I was extremely tempted by all of the various fun candies and goodies they have that are either foreign or old fashioned. 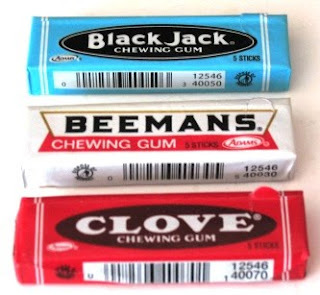 Remember these? They always make me think of my Grampa. I nearly bought some, but I was trying to stick to the task at hand. That, however, did not stop me from buying a big bag of these. What I actually got was a bag full of mini-bags that I can put in my candy jar at work. I haven’t seen the mini’s since I used to enjoy them at my friend Lorie’s house in the 5th grade! Chocolate – much chocolate – was purchased, but I continued shopping. I love their dishes and their baking section, but it’s the Japanese cook and serve ware that makes me want to make my own sushi every single night! But I held it together and moved along. At the last turn before the checkout, I happened across something in a wine section that I’ve never seen before. Chocovine! Seriously – red wine and chocolate put together in a drink? Umm, OKAY! I bought a bottle and can’t wait to try it tonight. 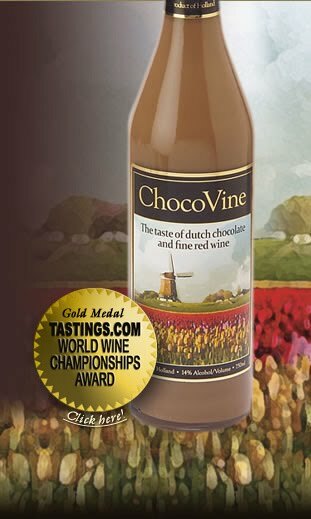 The Chocovine website (yes, there’s a website) has various recipes you can try with it, but some bloggers have said it’s even yummy chilled and served over ice. I’ll be sure to let you know how that goes. 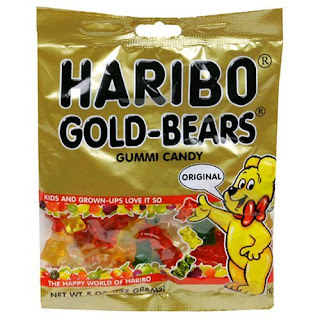 In the mean time, I’m off to enjoy some gummi bears. Brach's gummy bears are my favorite. I need to know how the wine was!!!! It was actually a lot like Bailey's, only without the hard alcohol aftertaste. I'd like to try it next as part of a mix they suggest. Definitely a dessert drink!